The full lineup for Supersonic has been released and The Accused and Corrupted are playing! And Thorr’s Hammer! 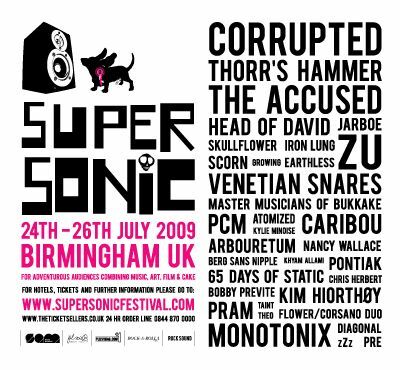 Last time I went to Supersonic I had such a good time that I could barely speak the next day and this one looks like its gonna be even better as I actually like some of the bands. 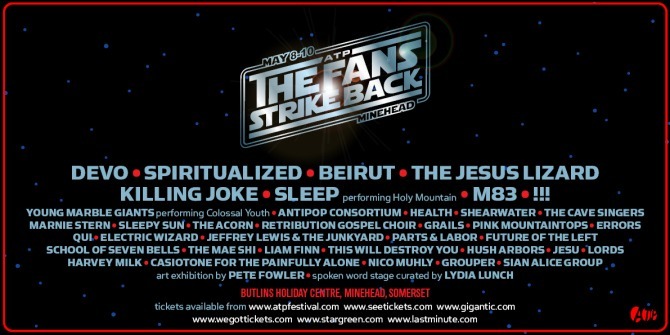 And coming up next month is ATP at Bulins in Minehead. Last time I went to ATP I didn’t make it back in to work on the Monday morning and lost my job later that week. Thinking about it, there seems to be a pattern emerging here. MUST get into work this time; jobs are scare at the moment, eh? Speaking of jobs, I used to do press for Killing Joke but didn’t actually get to see them last year when they played with the original lineup, so looking forward to that next month. We’re short of a couple of peole to share a chalet with at ATP, so pals reading this, get in touch if you are up for a bit of DEVO. Up Next. Look what I got in the post!